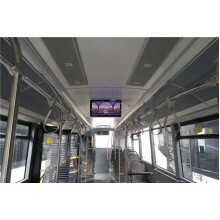 A new batch of IDIS-215 displays is installed as the onboard entertainment system Yutong Buses. 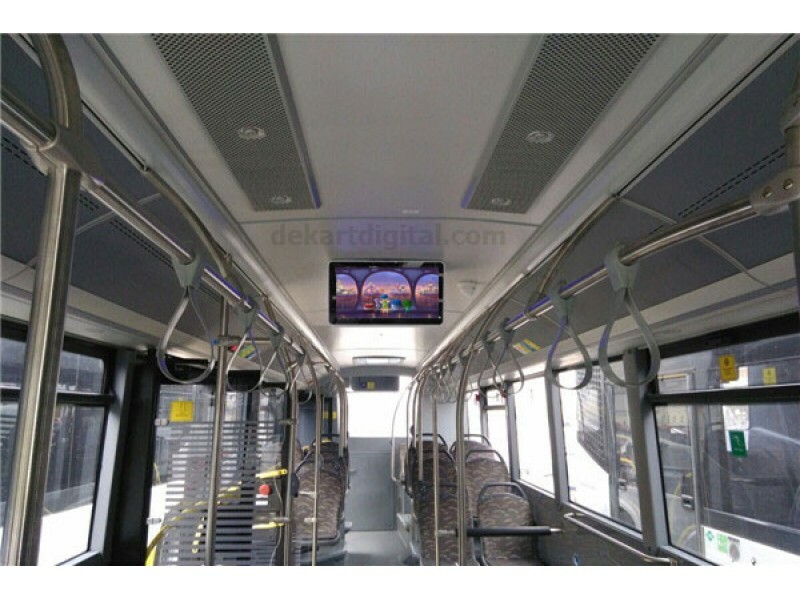 Couple of displays will be conveniently installed and look attractive in the center of the bus. High brightness, wide viewing angle and vivid colors of Full HD screen of the new generation visible to all passengers. In IDIS-215 monitors for transport we use LED panel with a viewing angle of 178/178 degrees! That's why it's image is visible to everyone without color distortion. Professional digital signage player for transport works automatically and supports all 1080P video files. The display is switched on with delay, power supply has overload and short circuit protection. The case is made of steel with powder coating, it has anti-shock protection, works with the vibrations of transport, has rounded edges to avoid damage in case of an accident. This model of the screen for transport is very popular as an entertainment monitor, advertising monitor for bus, the route sign for buses, taxis, trains, trolleybuses, and trams.